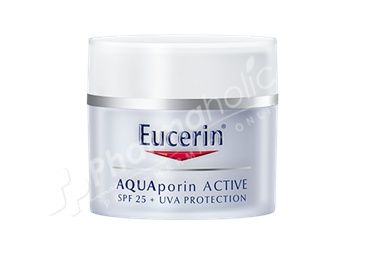 Eucerin AQUAporin ACTIVE with SPF 25 and UVA protection is an innovative face moisturiser that enhances skin’s own hydration system to leave skin supple, smooth and radiant. Apply morning and evening by gently massaging into your face, neck and décolleté (chest). Avoid contact with eyes.